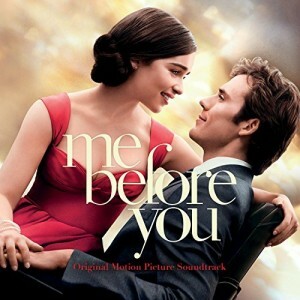 Emilia Clarke and Sam Claflin star in “Me Before You” Photo Credit: New Line Cinema and Metro Golden Mayer. Let’s get something out of the way from the get-go: you will, I repeat, you will need to bring a box of Kleenex to the theater while viewing the film Me Before You. For those of you familiar with the bestselling treasured fictional drama love story of the same name by Jojo Moyes, you’ll be pleased to know that she also wrote the screenplay. You’ll also be pleased to know that the film doesn’t venture far from the book, gives spot-on performances by two engaging actors, shows an unpretentious love story, wows with beautiful cinematography, and forces questions about choices, all while tugging at our heartstrings just as strongly as the book. For those not familiar with the book, it takes place in the English countryside near a castle in modern day times. A wealthy young businessman (Sam Clafin, Snow White and the Huntsman 2012), Will Traynor, becomes paralyzed after a motorcycle hits him on a very rainy day in London. Fast-forward two years, we see a cynical person who has lost his will to live. Emilia Clarke (Game of Thrones 2011-2016) plays Lou Clark, a bubbly, off-beat, fashion-loving, naïve girl in her mid-twenties who’s in need of a new job after being let go from the local Buttered Bun Café, where she not only served tea, but also sympathy to the elderly village seniors and to some tourists who visited the nearby castle. Lou decides to answer an ad to be Will’s caregiver, as her family is in dire need of her financial help. Lou soon discovers that her job requires more skill than she bargained for. Although she doesn’t do any of the heavy lifting—Will has a physical therapist for that—she’s supposed to make meals, engage in friendly conversation, wheel him around, and dispense medications. What she finds is a self-brooding man who hasn’t accepted his current situation, one who resents not being able to do common everyday tasks. She also finds out that Will has made a deal with his parents that if after six months he’s still miserable, they will take him to Dignitas in Switzerland, a facility that helps people end their lives. Yes, this is heavy material, but we are engaged, as Lou is the bright spot here and actually Will is too, at times. Lou becomes determined to find activities and outings that will spark Will’s desire to live. Her thinking is simple: “I’ve got to show Will how great life can be.” With an unlimited budget—yep, we’re talking private planes and exotic locations—Lou feverishly scans the Internet for astounding life experiences in hopes of saving his life. What she doesn’t realize is the tremendous burden she’s placed upon herself. She also doesn’t realize that Will’s reaction to being with her during these experiences will lead to his falling in love with her and vice-versa. Other scenes are just as powerful. One in particular occurs when the couple attend a wedding together—of his ex-girlfriend who dumped him, no less. Lou takes Will to the dance floor and all eyes are on the obviously love-struck couple. Soon after, we hear Ed Sheeran’s lyric “Take me as you are” from the song “Thinking Out Loud” in the background and our hearts begin to go pitter-pat. The timing is perfect. Me Before You works as a love story because even though this is a dicey situation for Lou, her life is deepened by the relationship. We also see her remarkable effect on Will and how his life is forever changed because of knowing her. *Author’s Note: On a positive note, I did meet a similar real life person named Matt King from England a few months ago who was injured in a soccer match at age 17. 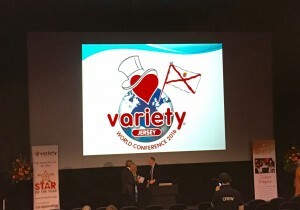 He gave a presentation about himself, his recovery, and how Variety Charity helped him by supplying him with the proper motorized wheelchair. Matt, 26, went on to earn a law degree, author a book, and will be getting married this year. He’s a fantastic speaker, and if you ever have the chance to hear him speak, I promise that you will be inspired. 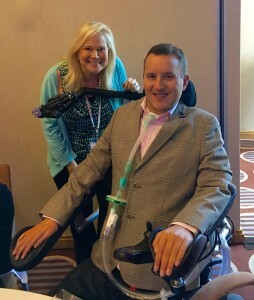 Here’s more about Matt King: Twitter @mattking1987 mattkinguk.co.uk Linkedin: Matthew King OBE, Motivational Speaker, Author and Lawyer Bedford, Bedfordshire, United Kingdom, Law Practice Current Matt King UK, Stewarts Law LLP Education University of Hertfordshire. Matt King’s book: 04.04.04 by Matt King, Alex Ferguson (Foreword). On the 4th April 2004, Matt King’s life changed forever. Making his first tackle as a 17-year-old professional rugby player for London Broncos Academy, his neck snapped. A happy-go-lucky teenager with the world seemingly at his feet; his life, as well as his spinal cord, appeared broken. 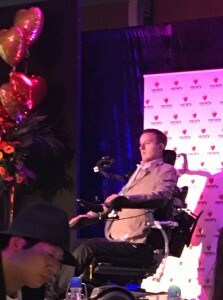 But, showing the same spirit, resilience, wit and courage that characterized him before the accident, Matt overcame the severe trauma and rebuilt his life; gaining a degree, a high profile job in the legal profession, became a successful mouth-painter, participated in marathons and carried the Olympic torch in 2012. Awarded the OBE for his charity work, which also includes giving motivational speeches to some of the country’s leading organizations, his is a story of the ultimate triumph of human spirit. Two years in the writing, his unflinching account tells of his upbringing in Bedfordshire, his nine-month stay in three hospitals and the arduous road to rehabilitation. The Bottom-Line? You’ll laugh, you’ll cry, but above all, you’ll see a genuine, moving love story that asks many questions centering on life’s scenarios and the cards you may be dealt. Credits: Directed by Thea Sharrock. Written by Jojo Moyes.